Has your Palm Pre learned to do the twist? 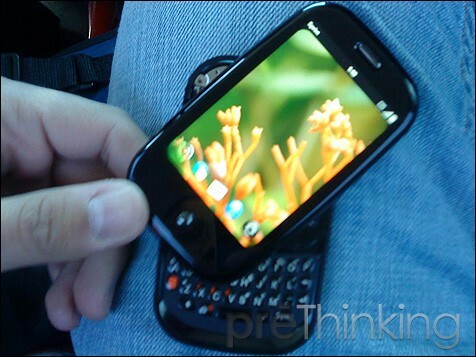 No, that's not a Blurrycam shot of a rumored Palm Pre follow-up with a rotating screen. It's actually one of the more extreme cases of the Palm Pre "twisting" right out of its shell, which, as far as we can tell, still seems to be a fairly rare occurrence. This particular Pre belongs to one Royer, who was apparently able to get it replaced without too much hassle, but other folks are also reporting some slight screen wobble, and even a few cracks appearing here and there. Somewhat interestingly, Royer says that the Sprint repair center he went to said they're not allowed to try to fix the Palm Pre, and are instead instructed to simply exchange it for a new one. So, has your Palm Pre learned any new moves it shouldn't have? Let us know in comments. Has your Palm Pre learned to do the twist? originally appeared on Engadget Mobile on Thu, 23 Jul 2009 11:48:00 EST. Please see our terms for use of feeds.